In more mundane life (sorry for the jarring change of pace), I left my camera in my parent's car over the weekend, so blogging is kind of difficult. Not to mention I'm still disoriented after losing Google Reader. Mugh. I like bloglovin's simple layout, but not being able to view things in list view on mobile is annoying. Plus I still can't comment easily on other blogs via mobile. It's really frustrating trying to leave a comment that gets eaten three times before it goes through! 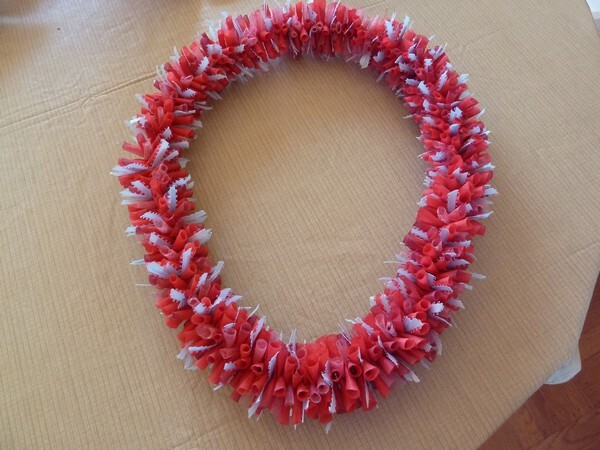 Anyway, here's a lei I did for my Cousin S's high school graduation. It's made from faux rose petals and ribbon; I followed instructions from a lei making book I bought during the trip to Hawaii last winter. Here's a phone pic of my beautiful cousin - you can see how full and fluffy the lei is! 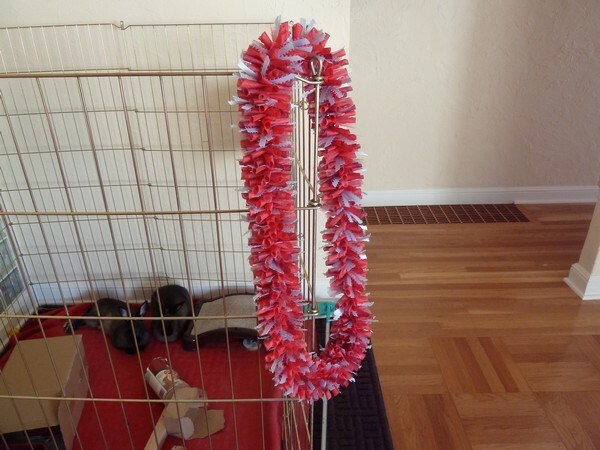 And for the other bit of lei tidbits, my mom always likes to hang fun things off the bottoms of the leis. To help her out, I put small metal grommets (crop-o-dile) in the bags of candy and food she bought to give them strength when tied onto a lei. Anyway, thanks everyone that donated from my last post :) I mailed out most of the "orders" last saturday, so hopefully everyone got their bags! 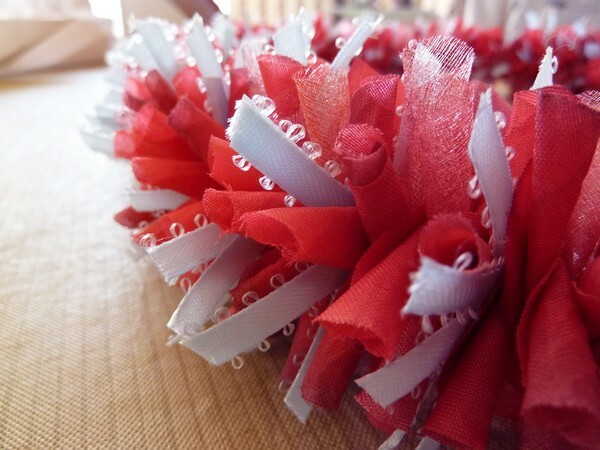 Love the rose petal lei! !